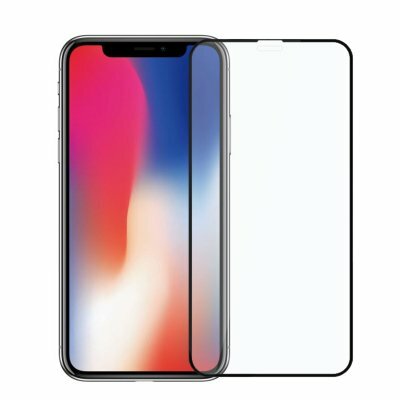 Successfully Added iPhone X Screen Protector - 2Pcs, Anti-Fingerprint, Bubble Free, Shatter Proof, Scratch Resistant, Dust Proof, High Transparency to your Shopping Cart. Protect the display of your beloved iPhone X with this 2.5D full-screen protector. This iPhone X screen protector features merely 0.33mm in thickness yet it is extremely durable and tough. With its 9H hardness, it is resistant to scratches. It is furthermore shatterproof, dustproof and leaves no fingerprints when in use. With the included instructions and cleaning pad, this iPhone X tempered glass screen protector is easy to install and does not leave any bubbles. This smartphone accessory is the perfect gizmo for all the proud iPhone X owners who wish to protect their beloved mobile phone. With its high transparency, the smartphone accessory will not affect the quality of your visual experience. This iPhone X Screen Protector comes with a 12 months warranty, brought to you by the leader in electronic devices as well as wholesale smartphone accessories..